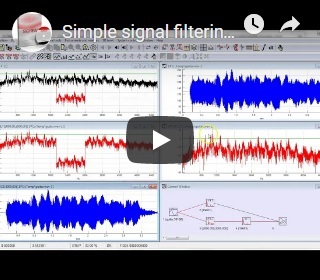 SIGVIEW is a real-time and offline signal analysis software package with wide range of powerful signal analysis tools, statistics functions and a comprehensive visualization system. SIGVIEW is highly customizable and flexible but does not require any programming know-how. 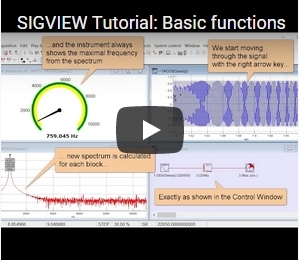 With its unique user interface and philosophy, SIGVIEW gives you the absolute freedom to combine different signal analysis methods in any possible way - there are almost no artificial rules and limitations. Once you get the basics, everything else in SIGVIEW follows the same logical pattern. 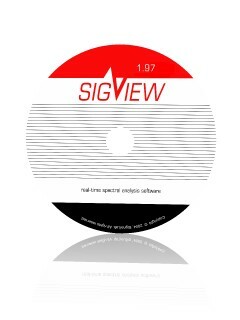 SIGVIEW is distributed as shareware - you can download a completely functional version and use it for 21 days to find out if it suits your needs. If you decide to use SIGVIEW after that period, you will have to purchase a license. The license key will unlock the time-limited trial version and convert it into a fully-functional licensed software. Two versions with different prices and feature-levels are available: STANDARD and PRO. 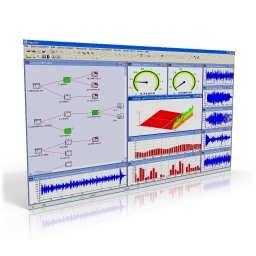 Real time data display, signal analysis and control. You can work with live signals and observe results immediately. No artificial or license-based limitations: FFTs can easily be calculated from millions of samples; dozens of signals can be combined and analyzed at the same time. Field-proven by thousands of satisfied users. See our Reference list for some examples. 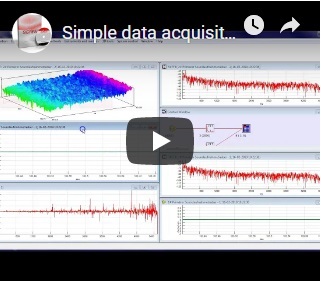 Powerful: Wide range of functions for spectral and cross-spectral analysis, statistics, filtering, exquisite graphical solutions,... everything in one package at one price. Real time: There is no difference between working with live signals in real-time and working with signal files. Start researching with your sound card and continue with professional DAQ devices. Risk-free: Try before you buy. You have 21 days to try a fully functional SIGVIEW version to see if it is exactly what you need. Customizable: SIGVIEW can be regarded as a template for more specialized applications. If you need a new analysis option, new design, support for your file formats or data acquisition devices, just talk to us. Customized SIGVIEW versions can be provided at very affordable price. Not sure if you are ready to install trial version? 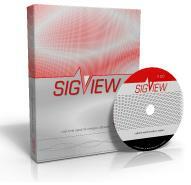 Take a look at SIGVIEW User Manual online before downloading. 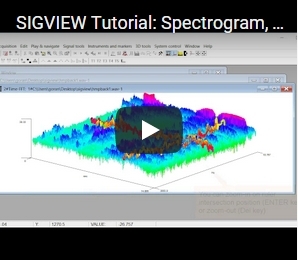 See who is already using SIGVIEW in our Reference list. Our premium support packages will provide you professional and fast support at very affordable price. See the order page for our current 50% discount action. We provide several video tutorials to help you grasp the basic concepts and to allow you to shorten the learning curve. You can also follow us on YouTube to be informed about all future videos.